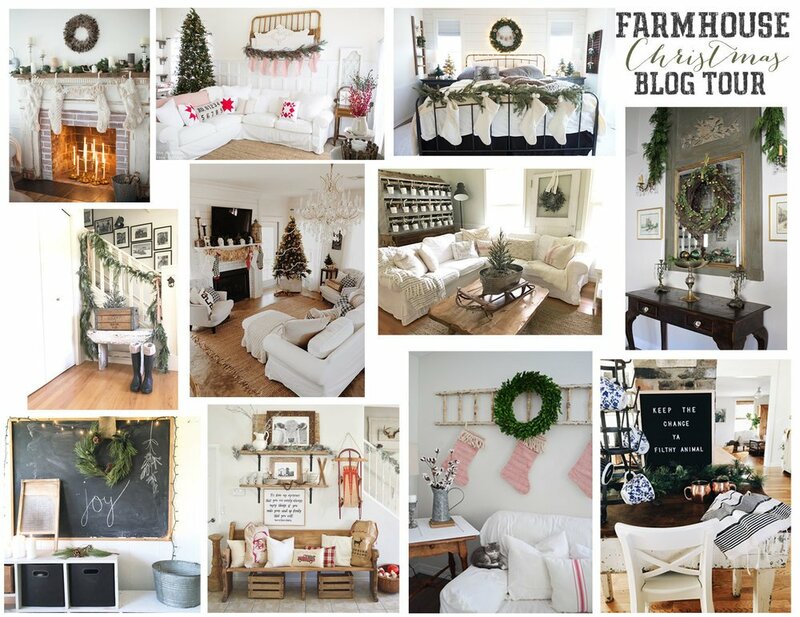 Hello and welcome to my farmhouse inspired Christmas home tour! I am so happy to have you here with me during my favorite time of year. I truly feel like this season is magical, every year as the New Year rings in, I find my self a little sad that its all over and I can hardly wait till the next year, to do it all over again. 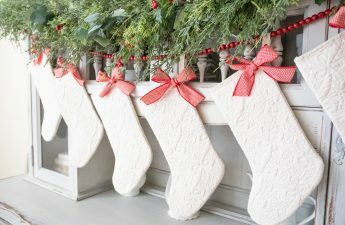 I am a rather decisive person, and somewhere along the road to getting our little home ready for Christmas I make it up somewhere in my mind the “look” I am going for. 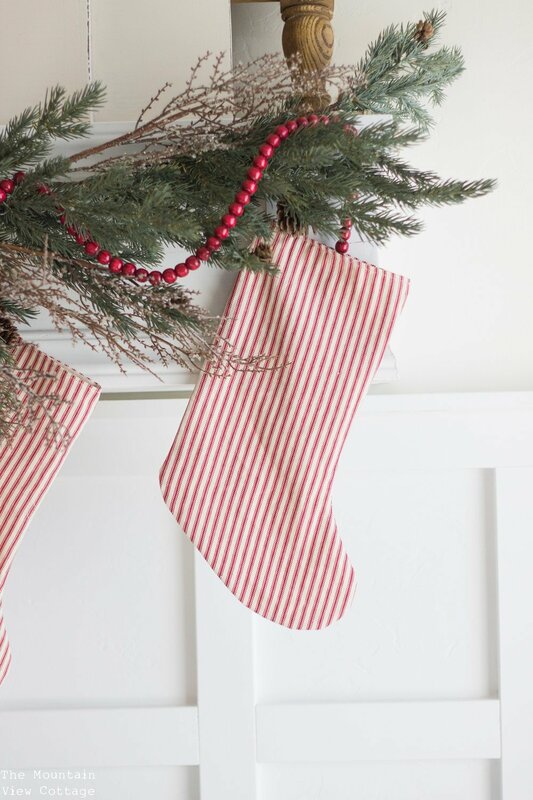 This year was no exception Rachel and I started talking late this summer and I told her I wanted to base my decor off of red and cream ticking stockings. She whipped them up for me in her little home shop and they truly couldn’t have been more perfect. Our home has had so many changes since last years home tour which you can see HERE. 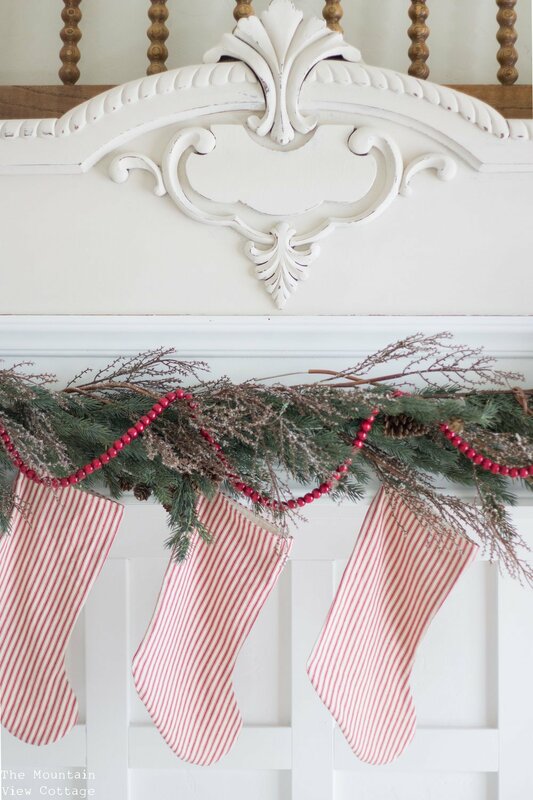 I had just barely created this blog last year, and I decided at the last minuet to scramble around town and throw together a farmhouse inspired holiday home tour. For your convenience this post contains affiliate links. This year it was nice to have the luxury of time and to be able to plan ahead and start formulating ideas weeks in advance! I feel like this year is a little extra special because I have been able to focus more on my family since closing my shop and take in more of those sweet moments with my family. It also makes me reflect back on years before. 6 years ago at this very time I was pregnant with our first babies, twin boys. Things weren’t going according to plan and they kept trying to make their entrance into this world way sooner than was safe. Because of this I had been put on hospital bed rest to be closely monitored a few days after Thanksgiving. On black Friday I had convinced my husband to take me and my massive belly out to the mall to get a few pieces of clothing for our boys. I can’t quite remember the details but I remember that it was a less than stellar experience. I marched out of the mall in my hello kitty slippers because my feet were too swollen to wear anything else. I ?got back in the car and then proceeded to sob, and cry about all the emotions I had been feeling at this huge time of transition in our life. I cried for a couple hours and remember my sweet husband holding me close (well as close as he could with two babies smashed between us) and letting me just have a good cry. Isn’t it funny how you don’t know how badly needed a good cry until the flood gates open and then you just have to sit and revel in it for a minuet ?By the time you’re done,?you feel like a huge weight has been lifted off your shoulders. My wonderful husband ?took me back out the next morning after I was well and rested,?determined to enjoy a little black Friday shopping as I had so many years before. It also happens to be the year that he bought me my very first vinyl cutting machine that he gifted to me on Christmas day. As you may know that gift turned into the business that has so richly blessed my family and has lead me to writing here on this very blog. After several weeks on hospital bed rest things were stable and my doctor let me go home Christmas Eve to spend the holidays with my family. She released me with strict instructions that I was to park myself at my moms house and let her wait on me hand and foot. We spent an absolutely perfect Christmas together with my family and its one I’ll not soon forget! those little boys held on for 4 more weeks until the morning I was scheduled for my delivery. I had started to swell up like a tick due to pre-eclampsia and it had been determined it was time to deliver. They have always been little tricksters those boys and wouldn’t you know that the day they were scheduled to be delivered, I woke up at 4 am and my water-broke. My husband quickly jumped out of bed to run and grab my mom. She found me sitting on toilet laughing hysterically. She couldn’t figure out what was so funny and asked what I was laughing about?! I just said “well of course my water would break this whole pregnancy has been a joke I couldn’t plan any part of it if I tried” To which she replied “well you better get off that toilet and get to the hospital because you are not going to be laughing in a minuet. 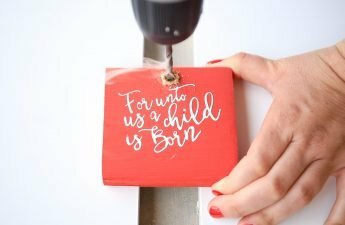 Christmas tags Free Printables Coming Soon! Boy was she right. Labor set in fast and hard, by the time I waddled into that hospital I was not the happiest patient on the ward. Those boys came 6 weeks early and spent the first several weeks of their life in the NICU. It was such a whirlwind and though it wasn’t without its challenges,? ?I was just so happy to have them here to be able to smell them and touch them. To see those perfect little faces that I had dreamed about for so many months. It seems since that year that my life has been put on a fast track, I can’t hardly believe my precious little 3 and 5 lbs baby boys are going on 6! If you’re a parent you know just what I’m talking about. Its as if life gets put fast forward the ?minuet you become a parent and one day you wake up to a home full of busy children and those little boys you swore Mother Teresa herself couldn’t potty train are running around in big boy underwear and you making more proud than anything in this world ever could. Its true while I love more than anything to decorate my home just so for every holiday, the things that mean the most and I remember the best,?are not what I hung on my walls, the fabrics I carefully picked out or the even the gifts that I gave but rather the memories shared with my loved ones, that I cherish year after year. 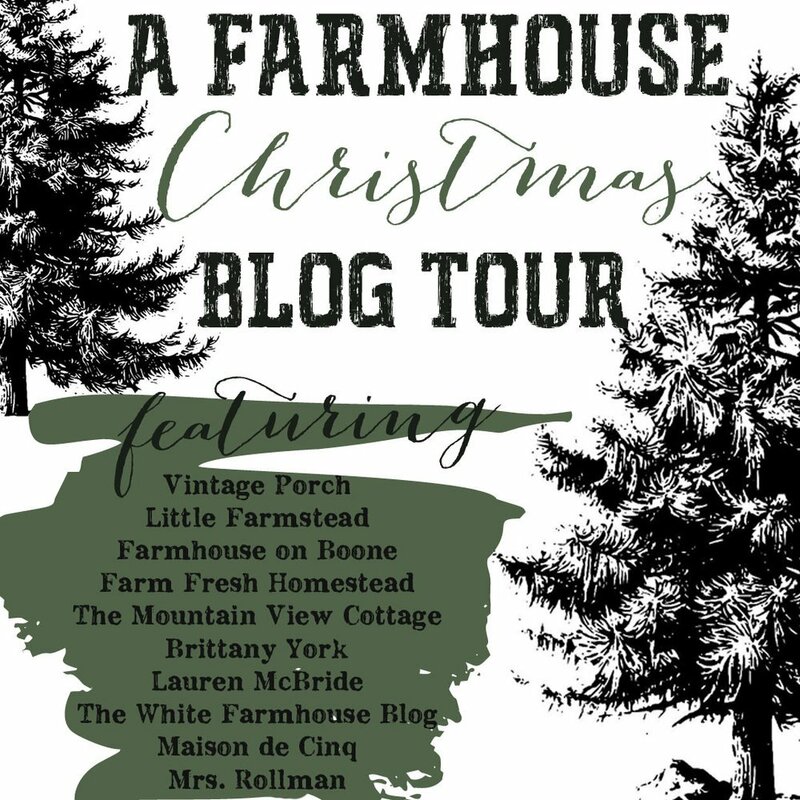 Before you go be sure to head over and see the other amazing homes that are featured in our Farmhouse Christmas Blog Tour!!! 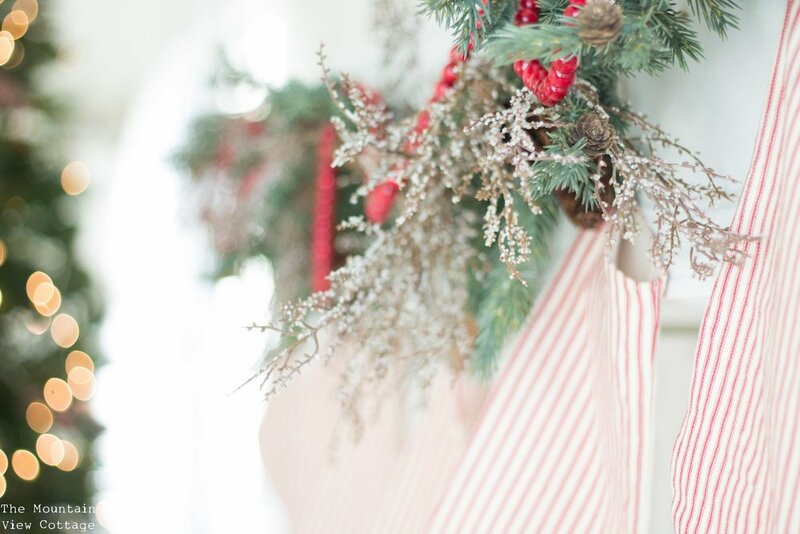 Simply click the name of each person to be directed to their beautiful Farmhouse Inspired Christmas Home Tours! I’m so happy to have you here and to share my Christmas home tour with you! 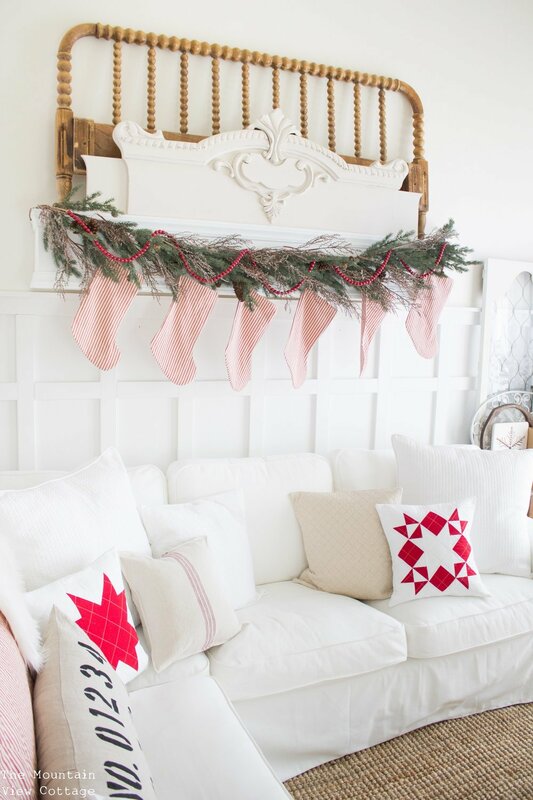 I’ll be sharing all the details and many tutorials on how to achieve many of the looks in my home above! so be sure to comeback for more Christmas tutorials! Wow Haley this is so gorgeous! You are so talented! I love your home! 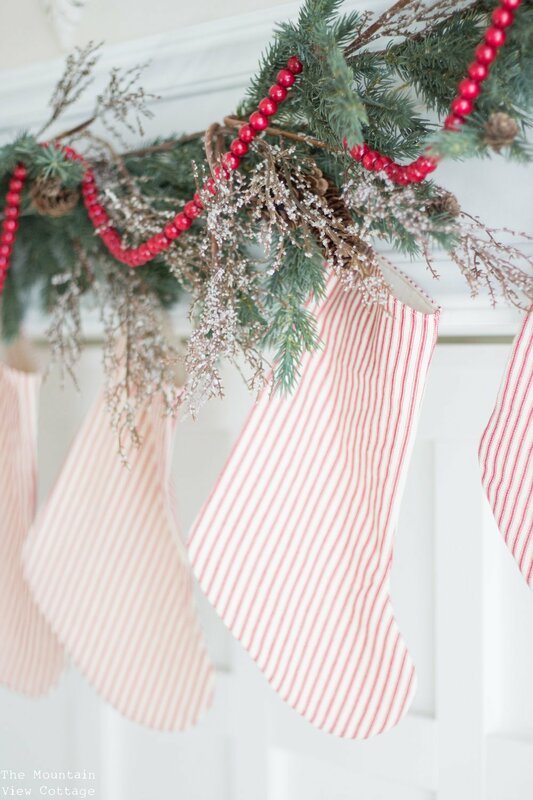 It is so cheery & bright and your Christmas tour is so beautiful! & I loved how you shared your birth story of your boys and what a sweet man you have! Haley! Everything is just perfect! I’m so in love with your home! 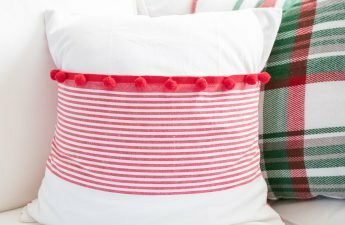 Love your sweet bedroom! ?? Absolutely stunning, girl! Every little inch was just beautiful! Hey Edie! these are frosted berry bowl fillers from Hobby Lobby. Thanks so much for stopping by!